Turn-key Convertible 3br / 2 Bath stunner boasts oversized rooms throughout, sun flooded southern exposure and a private balcony. Fully renovated in 2016, this mint, move in ready property begins with the massive oversized light-flooded living room. Featuring a sprawling 31 foot expanse as well as a new open kitchen with ceaserstone countertops, stainless steel appliances, under counter mood lighting, a spacious dining area/potential 3rd bedroom and a large private balcony. This is the perfect apartment for entertaining all of your guests regardless of adding a 3rd full bedroom. 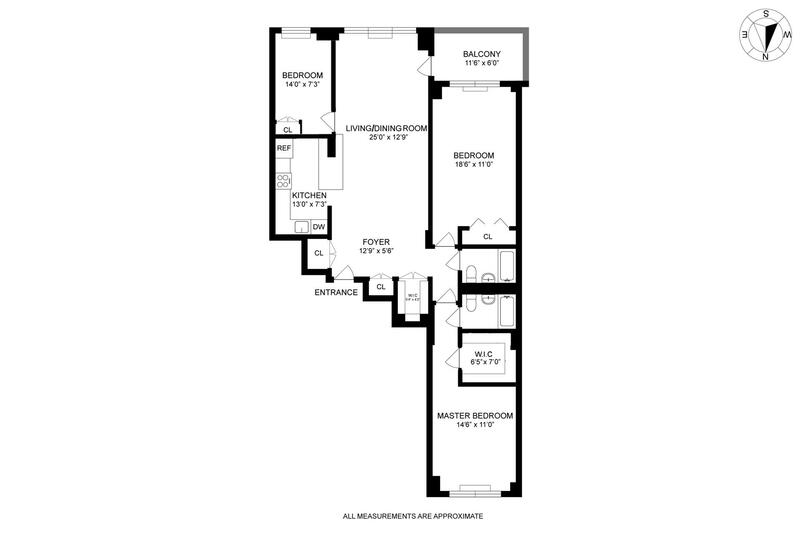 Two huge split bedrooms with tremendous closet space, wonderful light, one featuring a new ensuite bathroom and room to easily add your dream Walk-In-Closet (see alternate floor plan). Both bathrooms have been newly gut renovated with floor to ceiling marble tiles and designer hardware. This apartment has been meticulously detailed with dimmable switches throughout and 3 large additional common closets, all newly done (1 being a Walk-in "Costco" Closet rarely found in NYC!). Located in the heart of the Upper East Side, only steps to the 72nd Street Q train, the Morad Diplomat is one of the area's premier Cooperative buildings and located on a quiet tree lined block. Impeccably maintained and wonderfully serviced, tenants enjoy a 24 hour doorman, garage, common garden, a live in super, bike room and laundry. Pets are allowed and the board accepts parents buying for children and well as guarantors.